Highlights: This capstone ePortolio from the Online B.A. 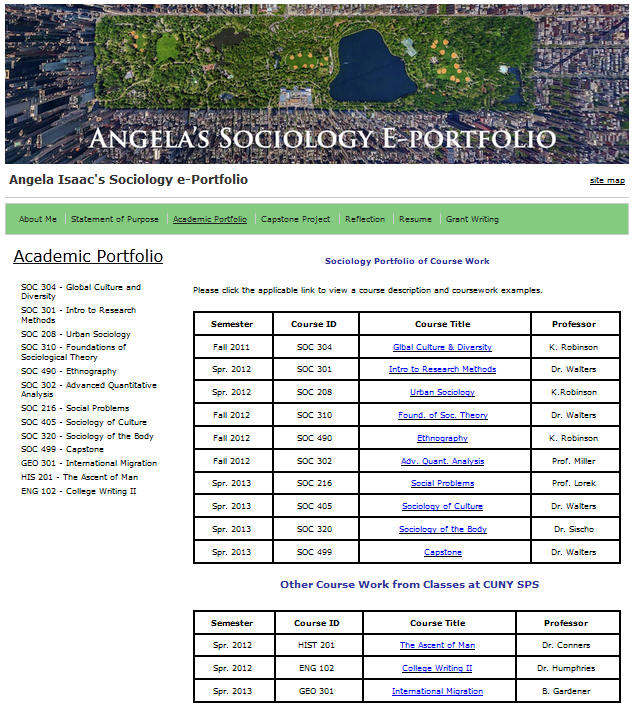 in Sociology program is great example of how courses can be presented within one ePortfolio while showcasing skills students have developed throughout the Sociology program. Angela has personalized the template through custom CSS and included an additional section to highlight her latest endeavor: grant writing!